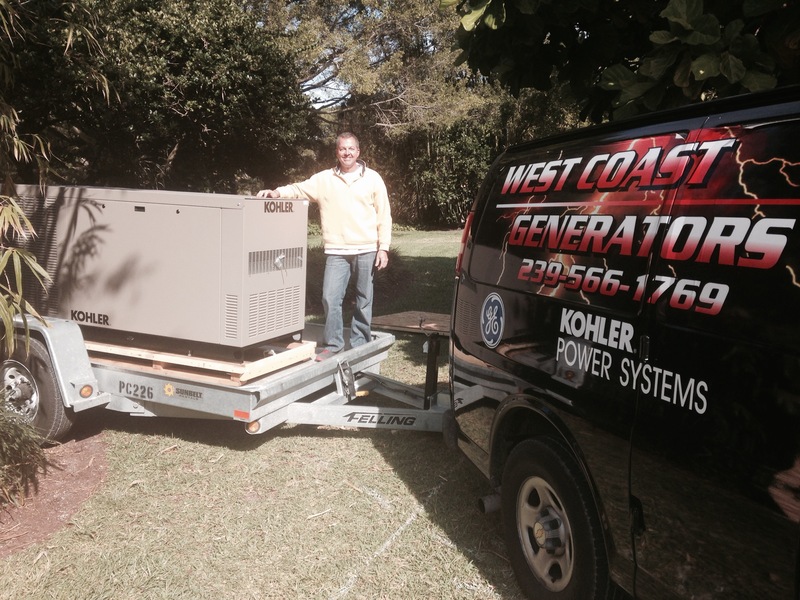 Located in Naples Florida, West Coast Generators has been installing, servicing and repairing generator units since 2006. We represent four major brands that include Kohler, Generac, Briggs & Stratton and GE. Each brand has their own unique qualities and we can help you choose which unit best fits your lifestyle. We are a Kohler Platinum Dealer. I have been in the the electrical field since 1985 and hold a Journeyman Electrican Degree and have an extensive background in residential, commercial and industrial electrical wiring. I have attended numerous continuing educational classes throughout my career and have directed my focus on Standby Generators. I have extensive factory training with the brands I represent and continue to make West Coast Generators the best company in SW Florida. If you are interested in a free quote for a new generator, we will come out to evaluate your property and to discuss your household needs when a power outage occurs. There is not a typical “Generator install”, all installs are different and need a site visit to accurately estimate your cost. Our technicians are trained to service your already existing generator as well. It is best to have your unit serviced every 6 months to ensure its lifespan and ability to run efficiently. Our office hours are 8am – 4:30pm, Monday thru Friday.